Not many sons can say that their Dad is their best friend. When I was a teenager we used to do training runs together. In those years he and I built a house from scratch. We stood shoulder by shoulder and laid bricks. This gave us time to talk about all sorts of things. At the age of 40 he started running to keep fit. He went on to complete three Comrades marathons. This is a world renowned ultra marathon. He got three medals: one silver and two bronze. He kept running to keep himself fit until the age of 70. Where upon his circulation prohibited him from running. This forcing him to start walking. 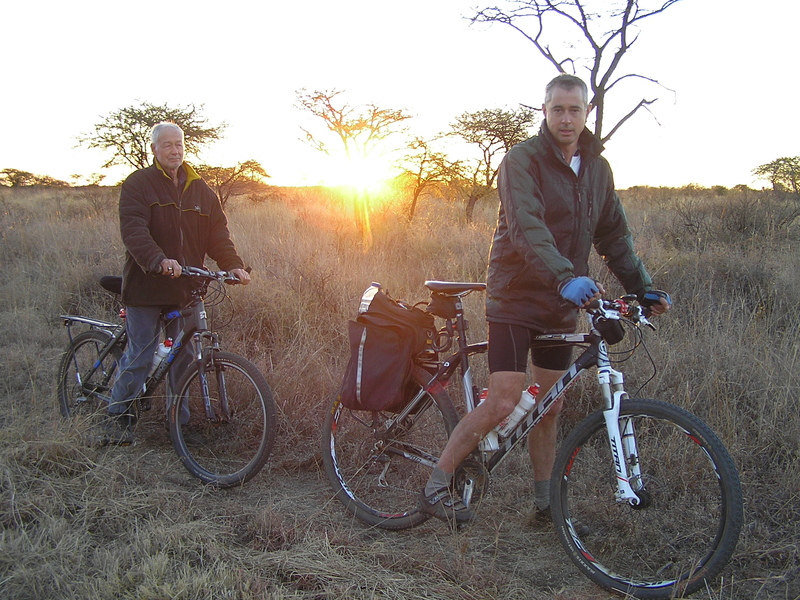 Last November (7 months back) I gave him my bicycle that I rode in Zimbabwe and Mozambique with. Then he could just ride 2.5 km. This week he came to visit and rode a 21 km gravel road with an average of 13 km/h at the age of 75. So nice to be sharing a sport with my Dad again. This entry was posted in Bicycle riding, Uncategorized and tagged Cycling, Dad by krfarmer. Bookmark the permalink.